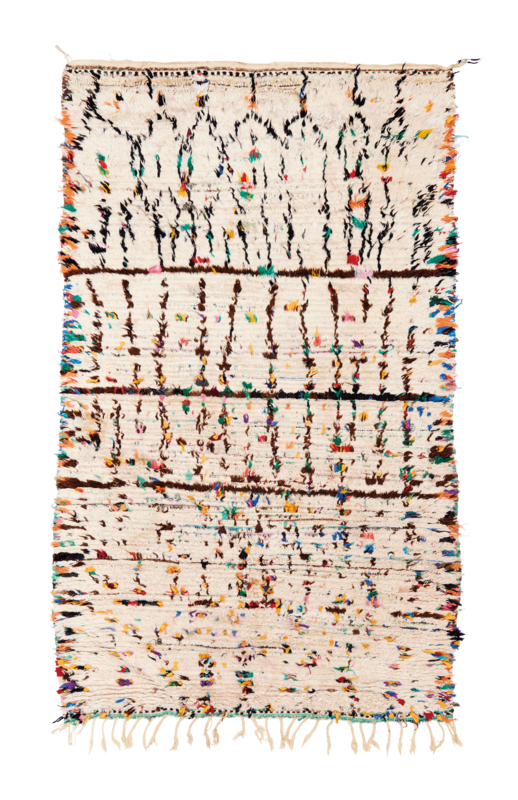 This vintage Azilal medium to low pile rug has an undyed natural ivory ground animated by three horizontal stripes and colorful vertical lines in dark brown. Lots of little colorful elements light up the piece. With its medium size, it will easily find a place in a modern-day space.